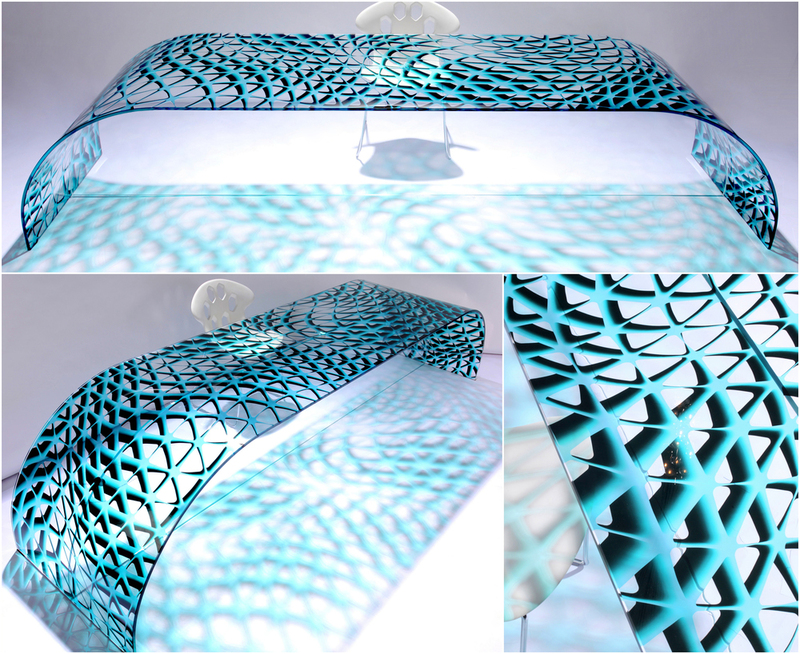 Mac Stopa explains, "The Hybrid Collection by Mac Stopa for Casali Glass features never-before-seen three-dimensional patterns with organic forms on glass. The transparency on glass coordinated with 3D patterns creates a spherical effect with morphed movement producing multiple artistic expressions." Stopa's designs are brought to life in crystal clear, low iron glass utilizing a hybrid technique combining high resolution printing and hand crafted elegance. The final images are hand lacquered onto the surface of the glass, but seem to float within. Casali and their designers can help design artwork for your project, or integrate artwork you supply. 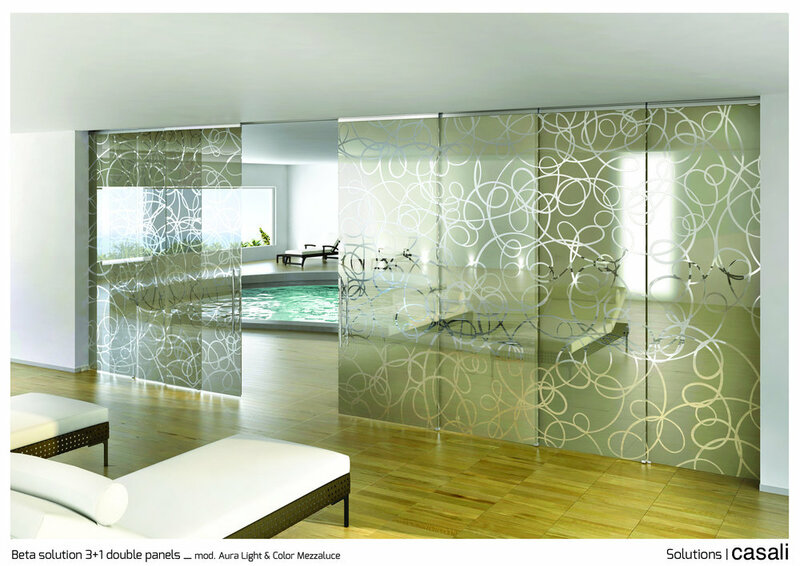 This award winning collection of glass is only one facet of Casali's incredible capabilities. Casali's Frameless Glass Doors, Curved Glass, Stainless Steel Hardware, Furniture and Accessories are all showcased in the following galleries. Acme Sales Group is proud to be Casali's partner in bringing their glass creations to the United States. 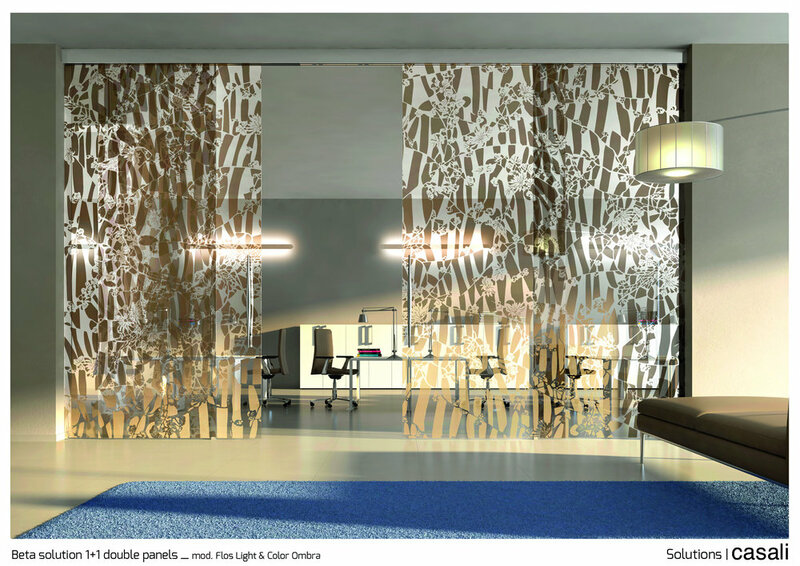 Casali's passion for art and glass is showcased in their collection of single swing doors that explore a world of themes and artistic expressions. Brought to life through sand-blasting, etching, carving and hand-lacquered protective finishes, these glass doors go beyond function to works of art for your home or office. Casali manufactures all of the sliding and telescoping hardware to create more dramatic spaces and room dividing solutions. 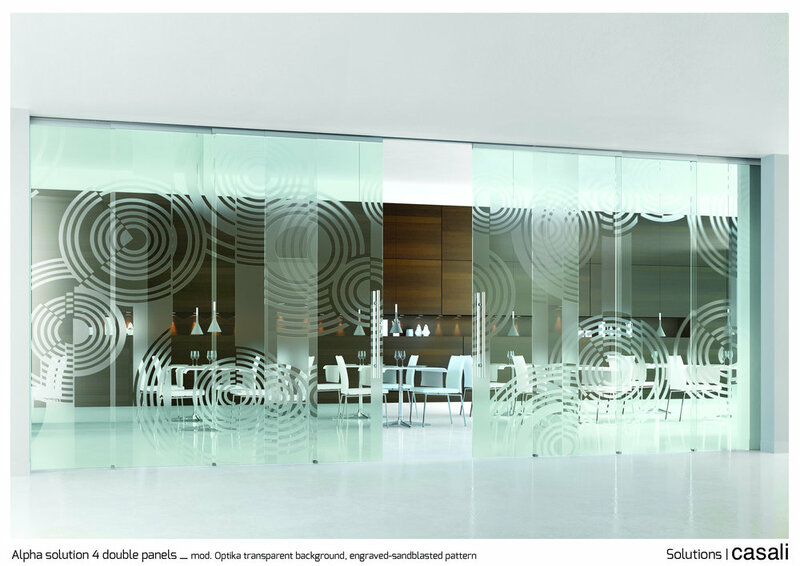 Designed to support 3/8" thick glass up to 9'-0" high, up to 10 panels of glass can be linked together. 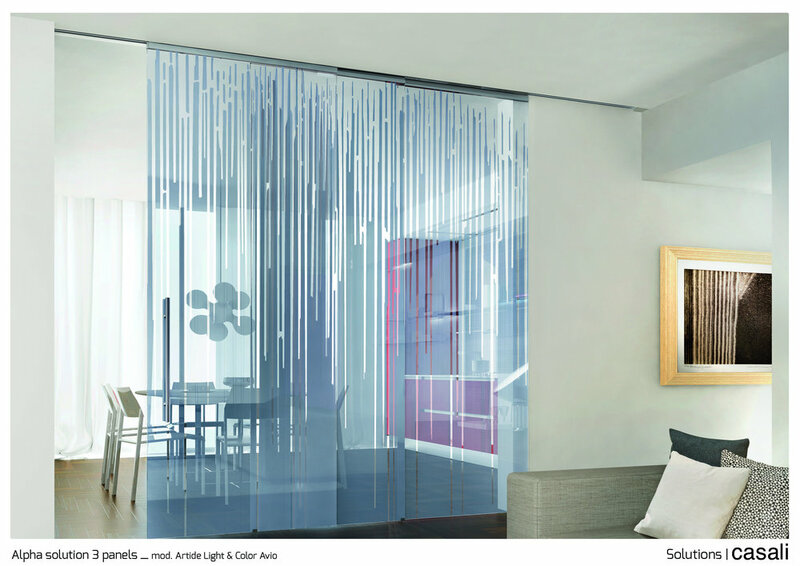 Developed to perfectly compliment Casali's artistic glass creations, the Soft Zero System features an Oil-Magnetic Dampened stop that gently cushions 3/8" glass sliding doors bi-directionally. Doors roll effortlessly on large, ball bearing wheels. Hand-crafted from stainless steel and available in either brushed or polished finishes. Made 100% in Italy.